We’re always here to help, whether you’re experiencing stress, struggling with addiction or simply seeking some advice. Our members are individuals and families, just like you and yours. From managed behavioral health care and employee assistance programs to health coaching and more, we have solutions for you and your team. With the appropriate care and support for their mental, emotional and behavioral challenges, your people will be better able to focus on company business. Whether you are a clinician or a health care provider, we partner to give you the tools and resources to make your job easier. The welfare of many people rests on the decisions you make every day, and we can give you options to better serve them. New Directions provides the flexibility to add the mental and behavioral health elements you need to complete your offering. We help our partners control costs, retain accounts and implement innovative solutions, derived from our critical expertise and decades of experience in the field. The path to well-being starts here. Our comprehensive program is customized specifically for the types of help you need. Physical, mental and emotional well-being is critical to your workplace success. Our EAP is here to help employees with any short- or long-term challenges they may face. 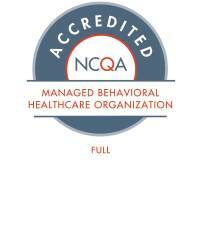 Are you looking for the latest news and thought leadership in behavioral health? Explore our news section by clicking the link below. With a commitment to work-life balance and a mission to improve health through change, New Directions is always searching for passionate collaborators to join our growing team.